OK, so this is actually a list of what I would like for Christmas, but it might give you ideas if you have a food-lover in your life. 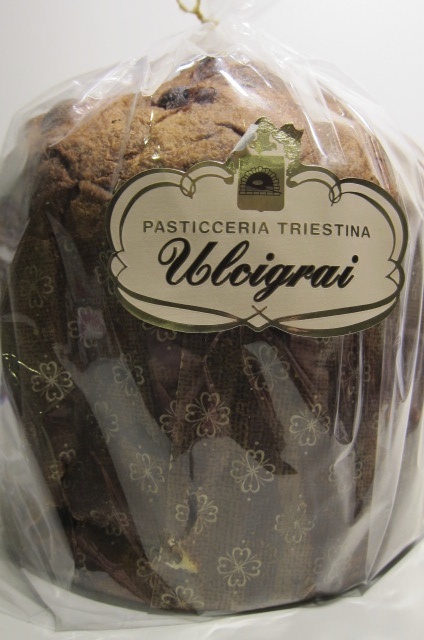 From a small family bakery in Trieste. Available from Leila's, Monmouth Coffee, or 104 Druid Street, London SE1 Saturdays 9-2pm. from My Cup of Tea with a spoon infuser £3, or a glass teapot £22. Buy on-line or from their wholesale arch at 96 Druid Street, London SE1 Saturdays 9-2pm. Four bars of Marou Vietnamese chocolate at £4 each. If you're going to Monmouth Coffee for your Christmas supplies, pick up these chocolate bars. Didn't know Vietnam produced chocolate? Neither did I, but Marou are bean-to-bar chocolate makers and it tastes great. Bars range from 72-78% cocoa solids. Go here for more stockists and info on the renaissance of the Vietnamese cocoa industry. from Gergovie Wines 40 Maltby Street, Bermondsey, London (check website for opening). Take care opening this lively, natural wine. This one of my 'six of the best books 2012'. It's already had its second print run and is a worthy winner of Waterstones Book of the Year 2012. If you (or someone you know) have been admiring that pestle and mortar Nigel Slater handles so lovingly on his TV programmes you could take a look at John Julian Design for a similar one. No price, but expect it to be expensive. Alternatively, find a potter and commission a truly one-off version.